The World Through My Eyes: Robert Pattinson make me feel nauseas : "Euwww"
For those who watch Twilight must be frenzied when they hear this name, but i have enough of him already, he is cute fine but leave it at that, just that. i don't know why people make so much hu ha about him being such a heartthrob and handsome when i don't see anything special about him. 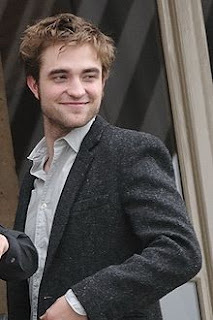 Since his act as Cedric Diggory in Harry Potter, i find him a bit sissy, then came Edward Cullen that is so pale i wonder if he swallow bleach liquid.